2018 saw another saw another first for Wittersham School’s residential trip, because it was the first time the children had slept under canvas! The trip was based at the Inspired Expeditions Centre at Marlow in Buckinghamshire, which was surrounded by large gravel pits, and only a very short walk to the banks of the River Thames. On arrival the children were briefed about the week ahead, and then sent off in the groups they were allocated to, so they could erect their Bell Tents. Once completed, so began the week of activities. This ranged from Raft Building on the gravel pits, hiking, abseiling, tree climbing, archery, along with many more. The highlight of the week for everyone, was the chance to canoe part of the way home along the River Thames. All this was done under clear blue skies all week, it really was a trip to remember. 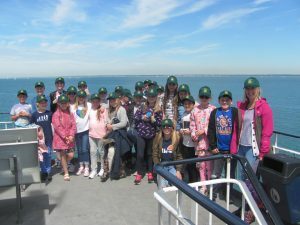 This was a brand new adventure for the pupils, because it was our first visit to the Isle of Wight for a school residential trip. The week started really well, because the forecast was for hot and sunny weather throughout the trip. The accommodation was a guest house, which we had to ourselves for the week, it was centrally located in Shanklin, with only a very short walk to the beach. The week consisted of many activities and outings, of which some of the following are examples; a visit to Osborne House, Circus Skills, Surfing, boat ride to the needles, with a ride on the cable car through the Chine, Crazy Golf and a visit to the Planetarium. It was a brilliant week, all the children and staff agreed, it would definitely be a venue to return to in the future. This year the year 5 and 6 pupils spent an exhilarating week at the PGL centre at Marchants Hill in Surrey. The week be gan with a visit to Petworth Park in Sussex, to eat packed lunches and explore some of the grounds. Once we arr ived at Marchants Hill we were introduced to our leader for the week and rooms were allocated. Our week consisted of eating many delicious meals and taking part in organised activities such as; Power Fan, Trapeze, Abseiling, Hiking, Rifle Shooting, Raft Making and a glorious Camp Fire with stories and toasted marshmallows. 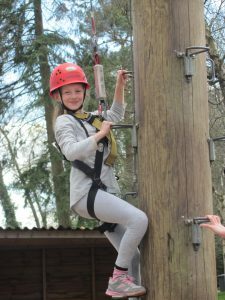 All of the children had a wonderful time, and many exceeded their personal expectations on some of the more daring activities. This certainly was a character building trip, and a great boost for the children’s self confidence. This year the year 5 and 6 pupils embarked on another successful trip to Le Pre Catalan in France. The ferry crossing was a pleasant journey across the channel, with the lovely sunshine tempting many of the children to venture out onto the deck. The week comprised of many outings, such as the trips to the Boulangerie and the Chocolatier, with the tasty rewards they bring. The children also visited La Bagatelle, which is a lovely theme park with many exciting rides. All of the children were encouraged to taste many different types of food, with a special ‘French Night’ hosted by the centre. L’escargot (snails), resulted in many different facial contortions as they were slipped into the waiting mouths! As with all trips, the journey home soon beckoned, but a fantastic time was had by all. 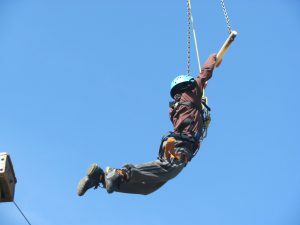 The beginning of May brought with it, anothe r fantastic residential trip to Marchants Hill Outdoor Activity Centre, which is situated on the edge of the Devil’s Punchbowl in Surrey. The week began with an introduction to our new friends for the week from Rolvenden School, followed by the allocation of rooms and groups. Activities began in earnest after lunch on the Monday, and finished rather wearily at lunchtime on the Friday. There were many visits to the tuck shop, intermingled with huge helpings of food at breakfast, lunch and dinner. 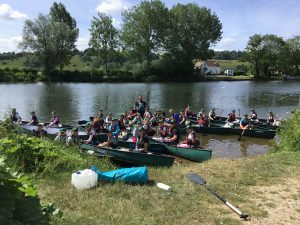 It truly was a glorious week, and as the pictures prove, both a thoroughly enjoyable experience for the children, as well as an introduction to many activities many of them would not have previously experienced.